Tenaganita (Women’s Force) is celebrating actively protecting the rights of women, migrant workers and refugees for four years straight with their established shelter for victims of human trafficking. 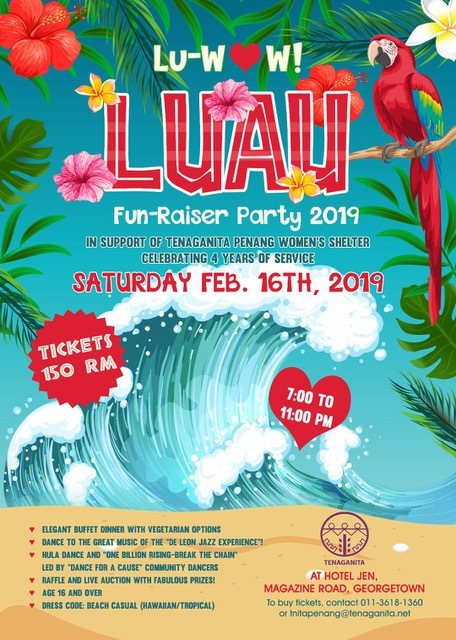 As a non-profit organisation, their annual fund-raising dinner welcomes you to be a part of this noble cause to keep their shelter running with a night of fun and music. Tickets are RM150 for a buffet dinner (vegetarian options available) followed by amazing music of “De Leon Jazz Experience”, plus more fun dancing and prize-giving raffles. Come dressed in your best beach (Hawaiian/Tropical) wear for double the fun!